Most December evenings riding the tube feels like something of a Christmas party on tracks. The women line seats in glitzed-up garms while men stand overhead in shiny shoes they forgot hurt until a few hooches in. As part of Boohoo’s Christmas campaign, I’ve made an effort to be as sparkly as possible for the 24 days people will raise their eyebrows less. And their party dresses have been the catalyst of dreams. If you’ve paid a shred of attention to these outfit posts over the years you’d know that bare legs are as much part of my style as retro-inspired dresses. In fact, I’ve earned a reputation for making my friends and colleagues second hand frozen from my lack of legwear as the temperatures drop. The best solution for all involved? Some truly glorious thigh high boots. 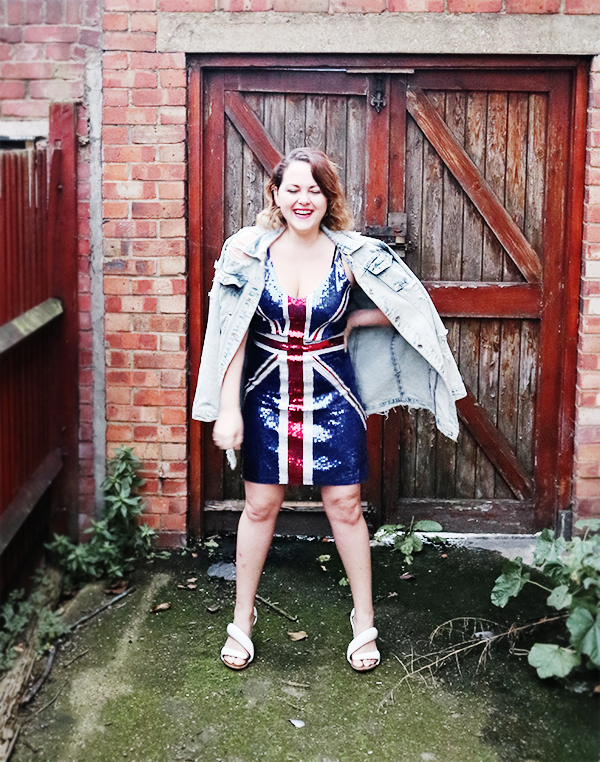 Will there ever be another Union Jack dress? I spent a solid 10 years of my adolescence as a platform-consumed Ginger Spice wannabe. To mark the twentieth anniversary of Spiceworld (which coincides with the double decade anniversary of Geri’s emblematic Union Jack dress) eBay.co.uk has taken a look at our favourite Spice Girl fashion moments of all time. With nearly 10,000 live listings for ‘Spice Girls’ on site, the supergroup’s sartorial legacy shows no sign of saying Goodbye (my friiiieeeend…I’ll stop, I swear). Much like the digital rendering of the word itself, the iconic and beloved response to our Spice heroines’ former style selections seem impossible to replicate in an age where almost everything a celebrity wears will be broadcast instantly and persistently on social media. Replicas of Sporty’s trademark tracksuit? eBay.co.uk get 40,000 searches for it a month. Posh’s LBD? Two sold per hour. Baby’s platforms? 20,000 sold. 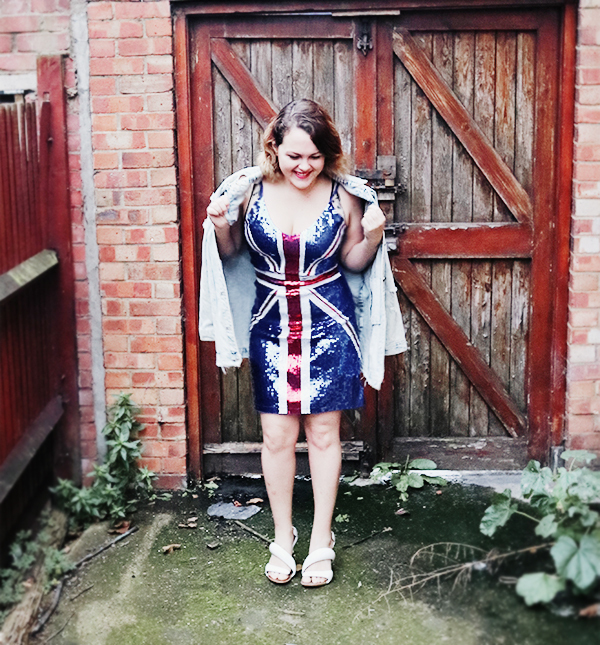 Ginger’s union jack dress? 19 sold each day. I mean, that dress. Those starless stripes. A tea towel sewn onto a Gucci dress was once able to dominate front pages and hearts alike. The 1997 Brit Awards show-stealer epitomised ‘iconic’. It became an emblem of an entire decade. – the rise of New Labour, the international acknowledgement of Cool Britannia, and Girl Power (knicker-flashing and all). It went on to become the most expensive piece of celebrity clothing ever sold at auction (beating both Marilyn Monroe’s white halterneck and Diana’s wedding dress). That Union Jack carried cultural influence in a way our societal overexposure could curb for years to come. The trip down memory lane called for a little throwback eBay fashion mission of my own, as you can see. Happy World Diabetes Day, loved ones! It’s finally here, mi amigos. The day I get to pop the champagne and announce my brand new partnership with One New Change as their Instagrammer In Residence! 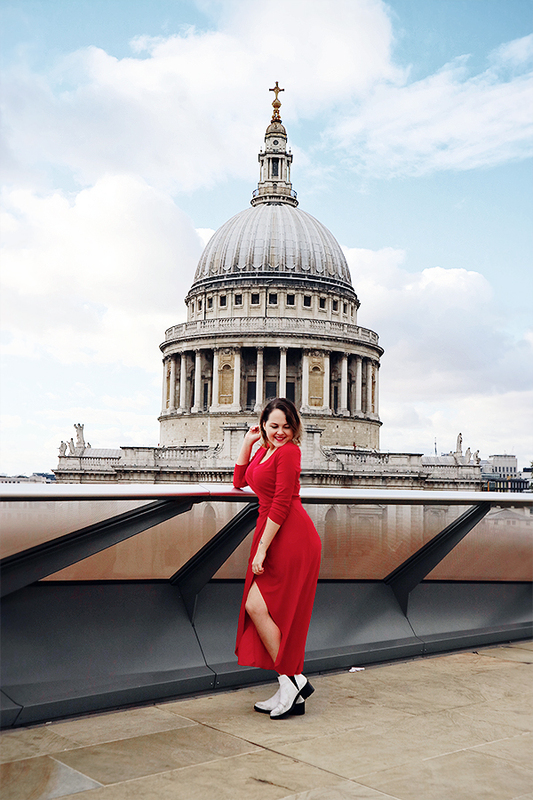 Over the next year, I will be sharing my favourite parts of One New Change through @lelalondon and @onenewchange (so make sure you’re following both!) 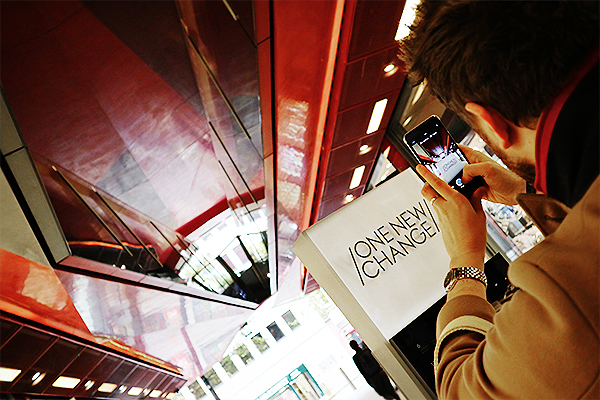 and holding four exclusive Instagram masterclasses to meet and treat you all at the luxe retail destination. 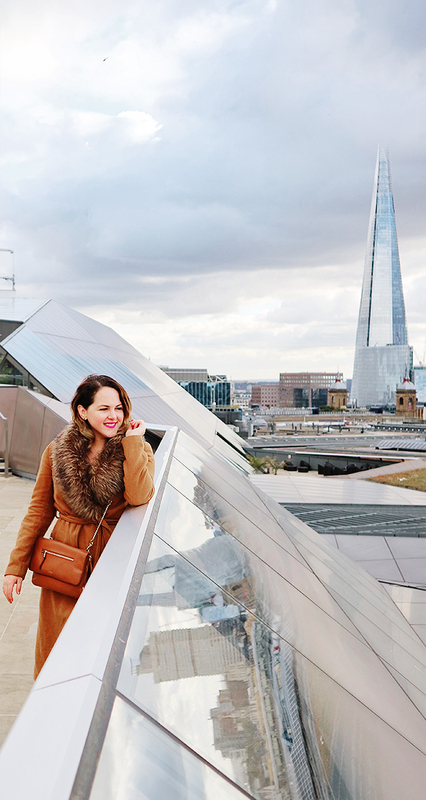 Their panoramic roof terrace has long been my favourite hidden gem for indulgent London ‘me time’ but their sixty-plus shops (Topshop, Oliver Bonas, et al) and sensational restaurants make this twelve month alliance a genuine dream come true. Thank you all for your support and stay tuned for much more!